You can check this and modify it if necessary through the Control Panel. This screen can be called up at any time by swiping your finger upwards from the bottom of the screen. The volume adjustment is recognisable by the slider with speakers at both ends. Left is mute, right is loud. You can configure the settings for all related topics via the menu. Choose Settings > Sounds. 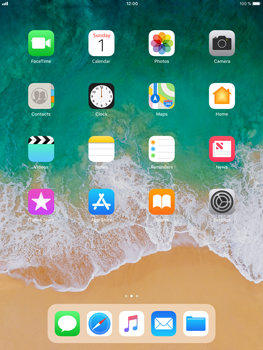 Turn your Apple iPad Air 2 off, reboot it and check whether the problem has been solved. If you cannot reboot the device the normal way, you can also force it. To do this, press the power button and the home key simultaneously, and hold these until the screen turns off.